Mendelson's Memos: Review: The Artist (2011) is a textbook-example for our nostalgia-obsessed culture. 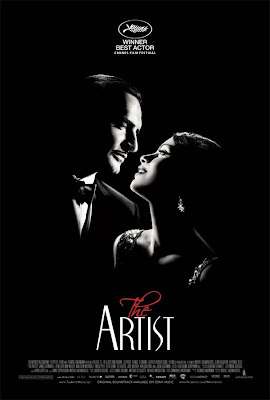 Review: The Artist (2011) is a textbook-example for our nostalgia-obsessed culture. 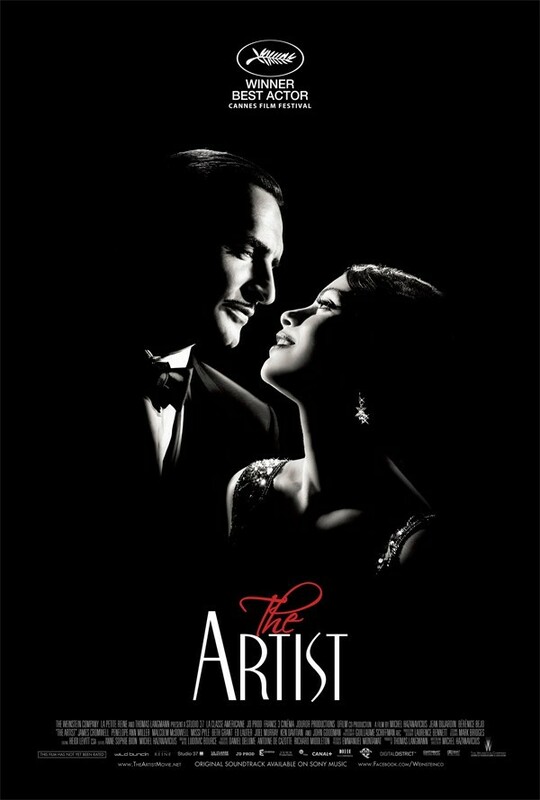 The Artist is a silent film about the death of silent films. It is arguably no better or worse than any number of silent pictures that were produced in the 1920s, with a narrative that rips-off Singing In the Rain just enough to matter. 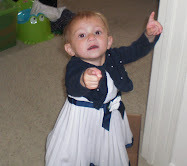 As an attempt to replicate a long-defunct film style, it is I suppose a success. It amuses and generally entertains, but it exists with little artistic style of its own. It exists merely to be a rather standard silent film, and I would argue not even an exceptional one at that. Like Hobo With a Shotgun and Super 8, The Artist is yet another example of the ongoing trend of genre exercise. It offers no commentary on its era nor any particular insight into the nature of the silent picture. Other than the fact that it is indeed a silent film made around 90 years after the rise of 'talkies', it has little to offer. The plot, in brief, concerns the professional and personal downfall of silent film star George Valentin (Jean Dujardin) when he is rendered irrelevant and unemployable after the rise of sound pictures. His downward plunge is contrasted with young Peppy Miller (Bérénice Bejo) who begins her career with a chance encounter with the matinee idol and eventually rises to the top of the talking motion picture industry. That's unfortunately pretty much it. Like The Muppets and Hugo, it deals with artist who struggle to come to terms with their apparent artistic irrelevance. But, without going into details, those films display a maturity and a somber acceptance of time that this picture does not. This film plays more on the idea that once you're famous and/or successful in the entertainment industry, you have automatically earned the right to always be famous and a would-be comeback is your god-given right as a once-admired entertainer. Moreover, unlike the two pictures noted above, there is nothing underneath the surface. While Hugo is a plea for film preservation and The Muppets has an undercurrent of implicitly questioning the nostalgia that fueled its creation, The Artist is completely surface-level. The silent acting is relatively solid across the board, and the film earns kudos for not playing the relationship between the former idol and the rising movie star quite as you might expect. Alas, it loses points for not giving Valentin's wife, played by Penelope Ann Miller, a single positive quality. The rest of the cast (James Cromwell, John Goodman, Missi Pyle, Malcolm McDowell, etc.) exists purely as foils for the two leads. It's disheartening to note that Valentin's dog gets more character development than anyone else in the supporting cast, as even he exists mainly to cause the audience to 'coo' on cue. The film is simple in a fashion that silent films are often presumed of being, which makes the film almost an insult to the pioneering art form. The Artist is a relatively entertaining gimmick, albeit one where it's primary gimmick is merely copying what was done without fanfare ninety-years ago. It operates as an example of the 'things were better back in the day' without bothering to critique or even examine that concept. Even Midnight In Paris, which I am not a fan of, had the decency to acknowledge the foolishness of trying to live in a theoretically better time (even if the lead character's obsession with the 1920s does cause him to 'improve' his life). Outside of its implications as a cultural time capsule (our culture, natch), it is a trifle of a film, occasionally amusing and always gorgeous to look at. But the film has no meaning, no real purpose except to tell a painfully simple story, and no real justification for 'just doing what they did back in the day'. It is a copy of a prior art form, and it has no weight or relevance on its own. I haven't seen the film yet Scott, but this review, more so than the awards it has been receiving, has me excited to see it and begin engaging with your review.